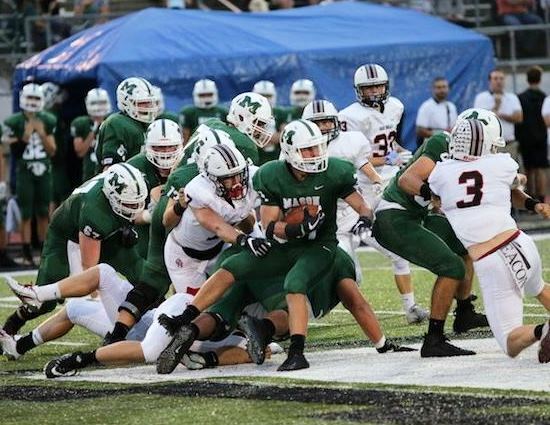 MASON, ohio – Mason managed to pull away from Oak Hills in the fourth quarter, winning 20-6 as they improved their record to 2-1. For most of the game, it seemed like both defenses were playing phenomenal but that wasn’t necessarily the truth. Oak Hills scored the first points with a 38 yard field goal in the first quarter and was able to hold off Mason from scoring until 1:34 left until halftime. Going into half, Oak Hills trailed 7-3. In the third quarter, neither teams scored a single point. However, Mason was able to generate enough offense to score two more touchdowns in the fourth. With the last one being a 73-yard rushing touchdown for Nolan McCormick as the time expired. Both teams struggled on third-down conversions with the Comets going 4-of-14 and the Highlanders going 1-of-15 on the critical down. Mason’s sophomore running back, Nolan McCormick, had 20 rushing attempts for 204 yards with two touchdowns. Mason’s defense however did a good job, holding the Highlanders to only 146 total offensive yards and no touchdowns. *Photo from @mhschonicle on Twitter. Nick Ellis is 2018 sports media intern for TSF and is currently a student at the University of Cincinnati. He was a 2015 graduate of Fairfield High School where he played on the offensive line.